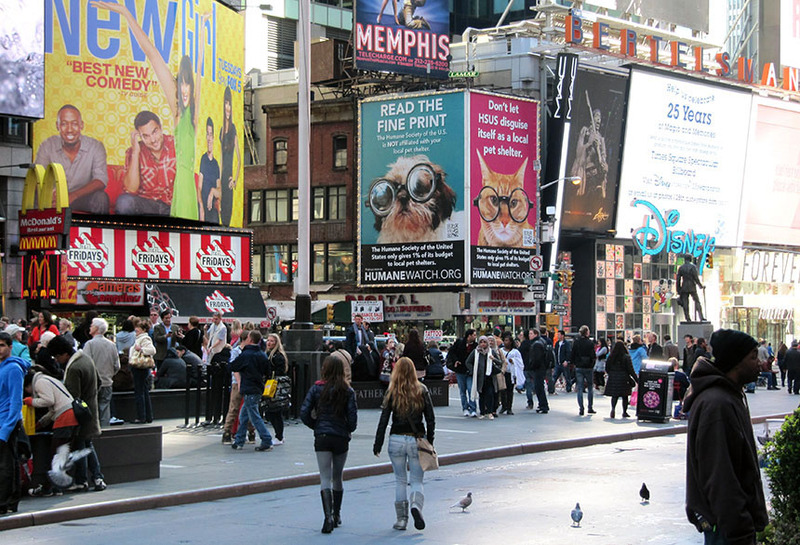 Humane Watch used two adjacent Wallscapes in New York City, NY to make a public service announcement about the Humane Society. Humane Watch is informing individuals at street level how to aid local shelters and help the most animals. The endearing images coupled with this important message guaranteed high reach and frequency in NYC.